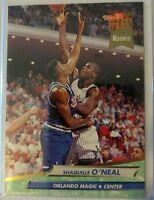 SHAQUILLE O'NEAL RC 1992 Classic #1 DRAFT PICK ROOKIE CARD Shaq Basketball LSU! 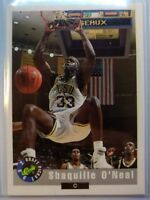 92-93 Topps Stadium Club Members Only Shaquille O'Neal Auto Autograph GEM Mint! !